And with the spring home-buying season only a short time away, how should you, the prospective buyer, use this time to prepare? Assuming you'll need a mortgage, the first step is to be sure your credit history is accurate and your credit rating as high as possible. Make sure all your bills are paid on time, and pay off your credit card balances if possible. If not, make sure to at least settle as much as you can. As with any financial transaction, the less debt you have, the bigger the loan you can get. A good practice during the time you're contemplating on buying property is to NOT open new lines of credit, because mortgage lenders are wary of borrowers who could get into trouble from an overabundance of available credit. Secondly, start assembling cash. Chances are you'll need a down payment of 20% of the home's purchase price. Of course, this figure isn't fixed, but is a good guiding number. Also, be prepared for smaller, less worrisome fees such as closing expenses and advances on taxes. Typically, they could equal to about 5% to 10% of the purchase price. We always give our clients a hand at zeroing in on a figure prior to submitting an offer, just to make sure they're going to a deal fully-equipped. It's always a good idea to investigate neighborhoods before you start the property search process; going in with a blank slate might be too much of a risk. Proximity to transportation and schools are important even if you don't have children or drive a car, because when it comes time to sell, those are the two major things buyers look for. 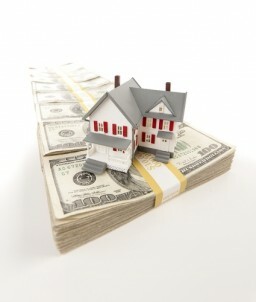 Beware of neighborhoods with large numbers of "distressed sales" such as foreclosures and short sales. Those sellers may settle for fire-sale prices, undercutting home values, and you don't want to be in a neighborhood with prices dictated by others. Interested to buy your own Boston home base? What about selling it? We'll gladly help you with both. Call, email, or tweet us now and we'll get you set-up!